Job Title:Materials Controller Excellent opportunity for a switched on Materials Controller to develop their career within a highly-successful, well-regarded company. Location:Bradford Salary:£24k - £27k (dependent upon experience) The Role Bluefire Consulting re recruiting for a Materials Controller to organise and order raw materials for a highly successful, fast-paced manufacturing company based in Bradford. Excellent opportunity for a switched on Materials Controller to develop their career within a highly-successful, well-regarded company. As a successful Materials Controller applicant you must be able to demonstrate previous materials and stock control experience, especially regarding the managing of stock data through MS Excel. You need to have a good working knowledge of IT, be confident dealing with spreadsheet and equations, with any knowledge above and beyond that considered an advantage. Owing to the nature of the Materials Controller role you must be a people-person with excellent written and verbal communication skills who enjoys developing internal and external relationships. Forward-thinking and willing to show initiative you will need to demonstrate your negation and persuasion skills on a daily basis. You must hold a full UK driving licence. Our client is a well-established, highly successful, family run company who specialise in providing high quality furniture to retail organisations across the UK. With suppliers located around the world they are looking for a dynamic Materials Controller to assist with the management of those relationships whilst improving efficiency and cost-effectiveness. 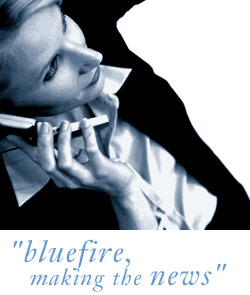 Bluefire Consulting is an equal opportunities Employment Business/Agency specialising in Purchasing and Procurement recruitment on a UK wide basis.